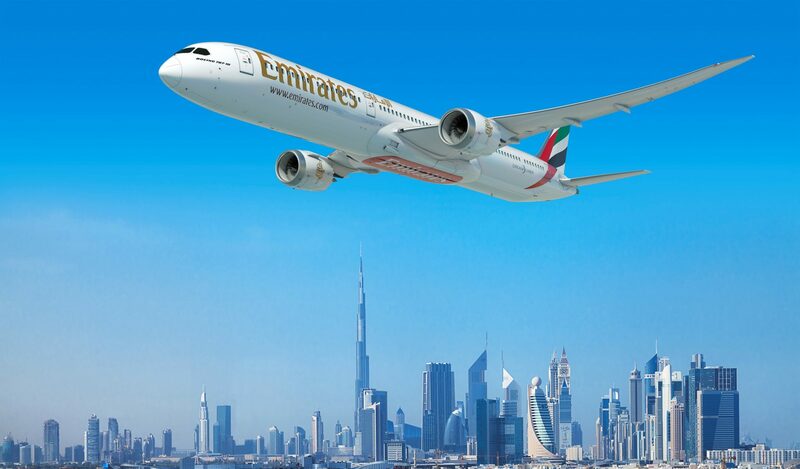 November 16, 2017, © Leeham Co.: Yesterday we outlined the qualitative reasons why the Boeing 787-10 was selected for Emirates’ medium-range routes. Now we put figures behind the words. We will quantify the weight and drag consequences of the tighter packaging of the 787 and discuss what it’s smaller wing means in field performance from a hot Dubai International Airport. We use our airline performance model to give us the data, flying the aircraft over typical routes. The A350-900 was designed for flights up to 15 to 20 hours. To make these bearable, Airbus decided to offer 18-inch seat width in the nine abreast economy cabin. Boeing went another route. It offered a slightly narrower fuselage and let the airlines decide between eight or nine abreast economy. Only Japanse ANA and JAL chose the base layout with eight abreast economy (and ANA has since switched to nine abreast economy for new deliveries). The result is an aircraft with lower empty weight and fuel burn (everything else being equal). For the 787-10, Boeing combined the tighter packaged fuselage with a wing optimised for flights up to 12 hours. The 787-10 consequently beats the A350-900 on efficiency for shorter routes.